You leave Tuscaloosa at 6:30 A.M.
You arrive in Selma at 8. Then you drive over to Union Town, New Bern, Greensboro, Eutaw, Gainesville, Epes, Livingston & Demopolis before having HAPPY HOUR in a plantation house in Boligee or Forkland. Then you can return to T-town fo' supper if ya want to or you can party in Demopolis with us! It'd be a money maker. sitting on top of the back seat of the convertible: l. to r.
to ever walk the sidewalks of Dothan, Judge Frank Johnson. He had a whole bunch of horrific stuff happen to him before he passed which I find entirely appropriate. My boss's Daddy, Lee Pake, Sr. had a store on North Foster & a buddy of our's family had a restaurant on South Foster. Both of their ads were printed together on the same page of the 67 Gargoyle. Wrap yo' brains 'round dat! Birmingham, AL - The Birmingham Museum of Art announced that one of the most significant groups of drawings by Leonardo da Vinci will be loaned to a U.S. museum for the first time by the Biblioteca Reale (Royal Library) in Turin, Italy. 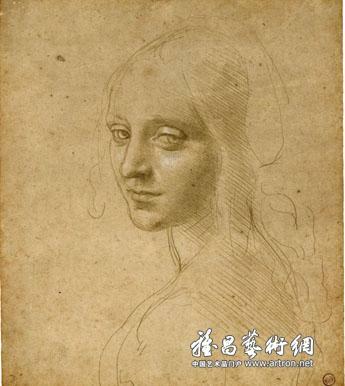 Organized by the Birmingham Museum of Art, the exhibition Leonardo da Vinci: Drawings from the Biblioteca Reale in Turin, will open September 28 and run through November 9, 2008 in Birmingham. The works encompass one of Leonardo’s most celebrated notebooks, the Codex on the Flight of Birds, and 11 important drawings, including one described by Bernard Berenson as the “most beautiful drawing in the world.” The drawings have never before traveled as a group nor in their entirety been made available outside of Italy. This exhibition provides a rare glimpse into the mind of the greatest draftsman of all time, whose designs still fascinate and challenge us today. Often called “the universal genius,” Leonardo is recognized for his restless, inventive mind, and the drawings in Turin illustrate in microcosm the extensive range of his interests. One night after a match up in Evansville, IN, Marshall Carpenter (Tuscaloosa Squirrel), Hubert Cokes (Big Daddy Warbucks) and Minnesota Fats were going outside to the parking lot. Two masked robbers accosted them in the parking lot, saying "Give us all your money!" Fats asked one of the robbers if he could first say something. The robber said "Make it quick!" Fatty turns to Squirrel and says "Do you remember the $1,200 I owes ya?" Squirrel says "Yea, you do owe me $1,200!" Fatty then pulls out his wallet and peels off $1,200 and gives it to Squirrel, saying "There, I paid ya. We're all squared now." He then gave the robber his wallet and what money was left in it. The robbers continued to rob Squirrel and Warbucks and left with all the money. Marshall Carpenter was born in February, 1928 in the same Alabama town of Tuscaloosa in which he still lives. He started going in to the poolrooms as a kid selling peanuts, which led to his nickname, ‘The Tuscaloosa Squirrel’. Gambling was deeply ingrained in that part of the South at the time, and Squirrel quickly took a liking to the action side of the game. Once it got to the point he could beat everybody locally, he began to travel. Squirrel spent 25 years on the road, including time with Fats, Rags Fitzpatrick and of course Eddie Taylor. He and Taylor became good friends back in the mid-fifties. Squirrel and Taylor were two of the players that used to gather at the Jansco Brother’s club in Johnston City before they began to hold their famous tournaments. Squirrel won the One Pocket division at Johnston City in 1962, then fell second to Taylor in 1963. After retiring from pool in favor of golf for many years, Squirrel is back to pool again, and he still enjoys getting into a little action. Renowned for his masterful control of both cue ball and object balls, in his prime Squirrel is said to have had about the "prettiest touch" in pool . Subject: Alabama should be proud. If you look at all the states Alabama is 4th highest for McCain over Obama. If my memory is correct, Idaho is number one. No wonder I want to move there. There was a little incident in the frozen food section of the Winn-Dixie on Friday afternoon. This cat got a little messed up & decided to cut up one of his best friends in the frozen food section. Well, I went in there on Sunday & I had a little fun with the clerk about PEACE & TRANQUILITY IN THE FROZEN FOOD SECTION. We both got a good laugh out of it & then she told me THE GOOD NEWS! All they did was tape up the crime scene. THEY NEVER CLOSED THE STORE!!!! Dat What I talkin' 'bout! CLEAN IT UP & SERVE THE CUSTOMER! The 1st Annual "Rock Around The Park™" Rockabilly / Psychobilly day at Disneyland on Saturday, November 15, 2008! In Hayneville, Alabama, an Episcopal seminarian, Jonathan Daniels, on his way with some teenage blacks to buy a soda, at a store known to sell to blacks, is met at the door by a deputy sheriff with a shotgun who aims his gun and threatens to "blow their brains out." Daniels steps in front of the others and is shot to death. Be sure to hear the very first sentence. The counter on THE DAY BEAR BRYANT DIED video on YouTube has hit over 10,800 VIEWS ! That's less than 200 views under my weekly goal of 11,000 views but we got 300 more views in a week than we usually do so my little push worked some! "Bear Bryant gave his country the gift of a life unsurpassed. he lived what we strive to be." My name is Cástulo Martínez, Chilean, 66, and I live in Arica, Chile. I was looking for a place where to find two data, and the system directed me to your blog. I think because you mention Mr. Esteban M. Beruvides' book "Los crimenes impunes de Fidel Castro". One of these two data is the radial address given by President Mariano Ospina Perez a few days after the Bogotazo. I have been unable to find it at the Internet so far. Mr. Beruvides quote a phrase of that discourse where Mr. Ospina says that Fidel Castro and Rafael del Pino were the instigators of the riot. I wrote to a son of Mr. Ospina, and he told me that he does not have that radial address but he knew that President Ospina Perez did not blame these two Cubans, but only the international communism. Do you know anything about that discourse given by nation wide net of radio stations? Sorry if I bother with this. P.S. I have Mr. Beruvides' book in Spanish, but it contains several mistakes in his Spanish. I am forwarding this email to someone who may be able to help you. I have a ring that has the motto Prepare for combat which i think is for the southeast army air force training center(Tuskeegee pilot training). But then it has what looks like a transmitter with a red griffin on top. Could this be the tuskeegee training program but at Napier field -training for the p-40? We played the Whiskey in Atlanta twice that I remember. It was always mass craziness!!! I LOVED IT!!! Otis Redding played there too! And it was insane as well!! We were always backstage and I will give you some more details about that later! 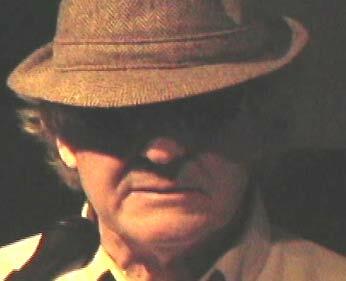 Paul Cochrane, Buie, Johnny Bee, Chick Headrick ( owner of Whiskey 'Au Go Go) and several other characters were always there upstairs playing poker.